Tide Pools at southern La Jolla Shores during negative tide. La Jolla, California, December 2014. While there are many great details to find in the tide pools, it doesn’t have to be a detail photo like in our example – you can make a seascape photo with a terrific sunset and use the tide pools as your foreground. Don’t know where to go? 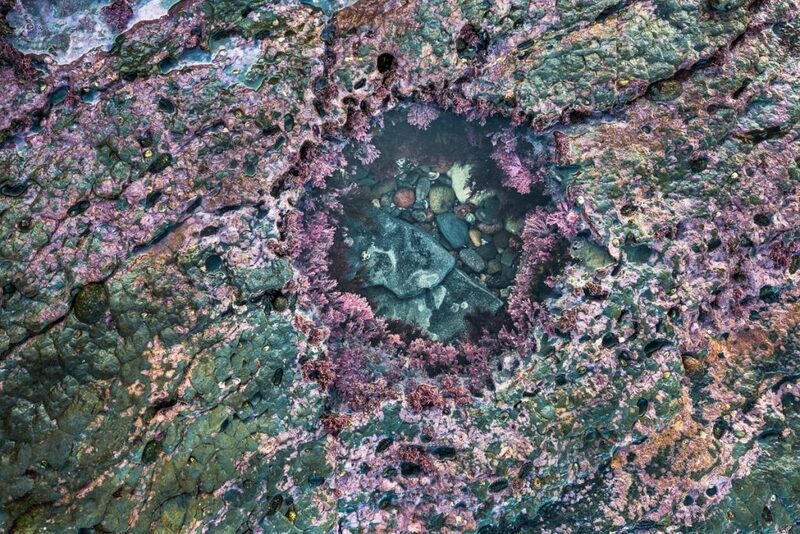 Here are some locations with great tide pools: La Jolla, of course! Plenty of tide pools from southern La Jolla Shores to Bird Rock and beyond. Beach access at Sunset Cliffs may be a bit precarious but during low tide it’s a world of tide pools. Or go to the tide pools area of Point Loma, at Cabrillo National Monument. Many smaller tide pool areas exist – wherever the coast has some rock features that are partially submerged, you’ll usually find tide pools. Watch your step because those rocks can get slippery! Current photo club members will receive an email with the Dropbox file request link in the next while. Have fun, we’re looking forward to your photos! *) photos with a capture date not within the time frame of the quest will be disregarded, so make sure your camera’s date and time are set correctly.